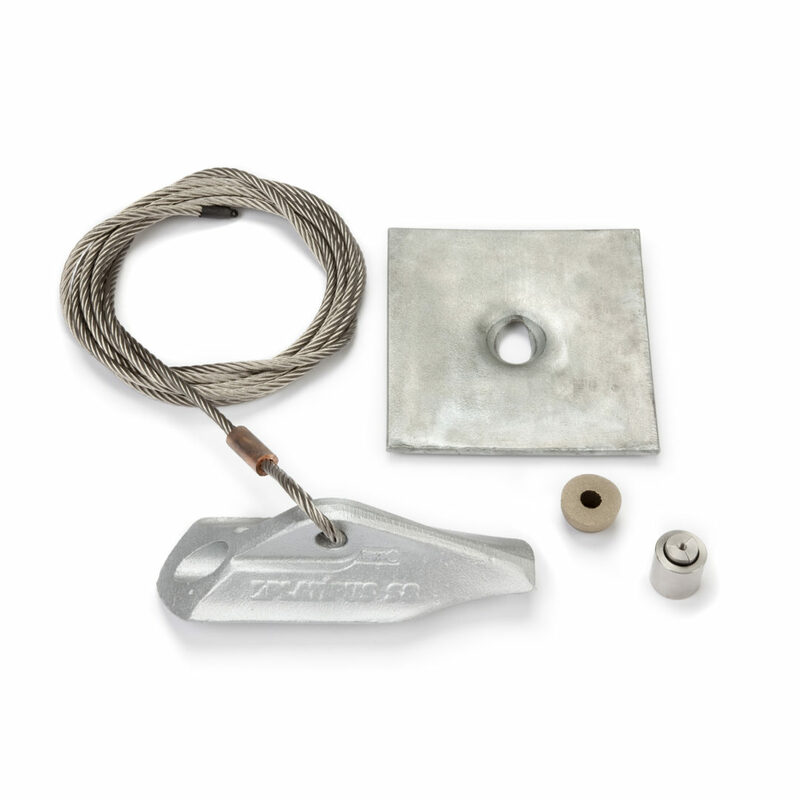 The ‘Stealth’ anchor is designed to cover a wide range of lightweight anchoring. 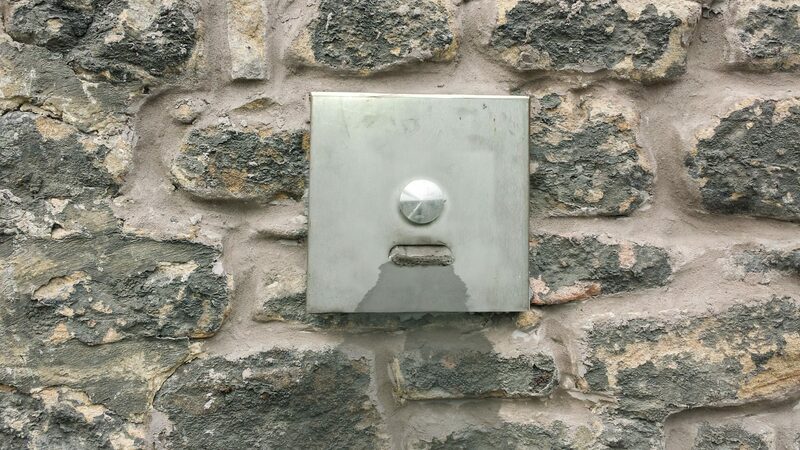 Its narrow profile means that it requires a single core hole to drive through a stone or masonry wall. Its chisel drive point and streamline shape makes installation easy, in most cases, using simple hand or power tools. This also makes it an ideal choice when working in areas with restricted access. To suit most specifications and load requirements we can offer a wide selection of wire tendons and solid rods. 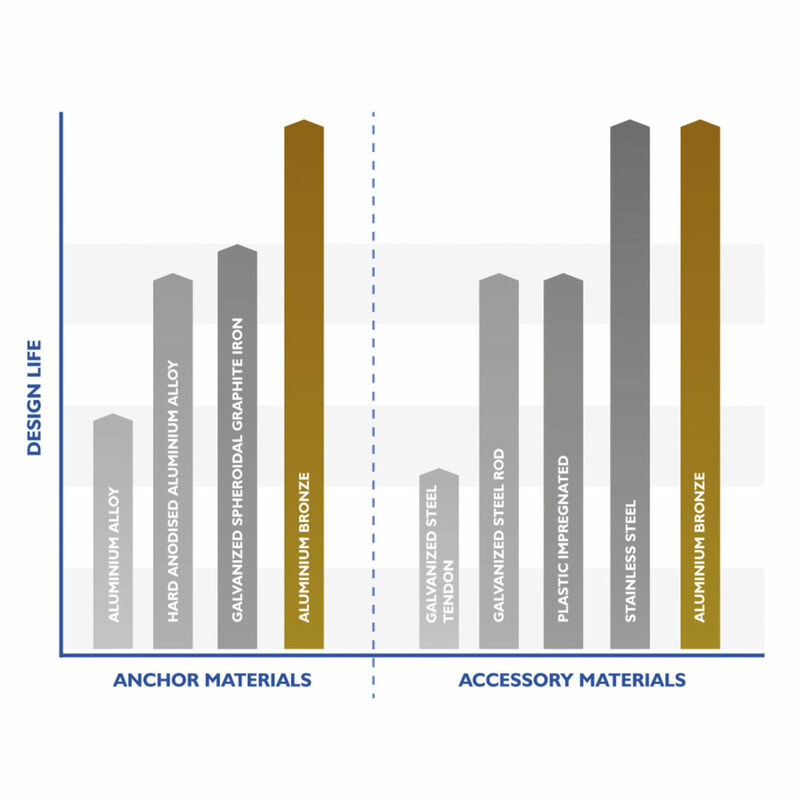 Whether it is round strand wire tendon for applications requiring lower loads, the flexibility of wire tendons make it possible to work in areas where access and space is restricted. We can also supply high yield solid rods which have a number of advantages over wire tendon. They can provide a higher ultimate load, sacrificial corrosion resistance and allow the depth of installation to be varied on-site. Both wire tendons and rods are available in a range of sizes and materials to suit temporary (up to 5 year) through to permanent (120 year) design life. We can provide a wide range of top fittings to suit most applications and budgets. A load bearing plate and wedge grip is a perfect low cost solution for installations that are perpendicular to an application.Tilt washers are also available for angled installations. 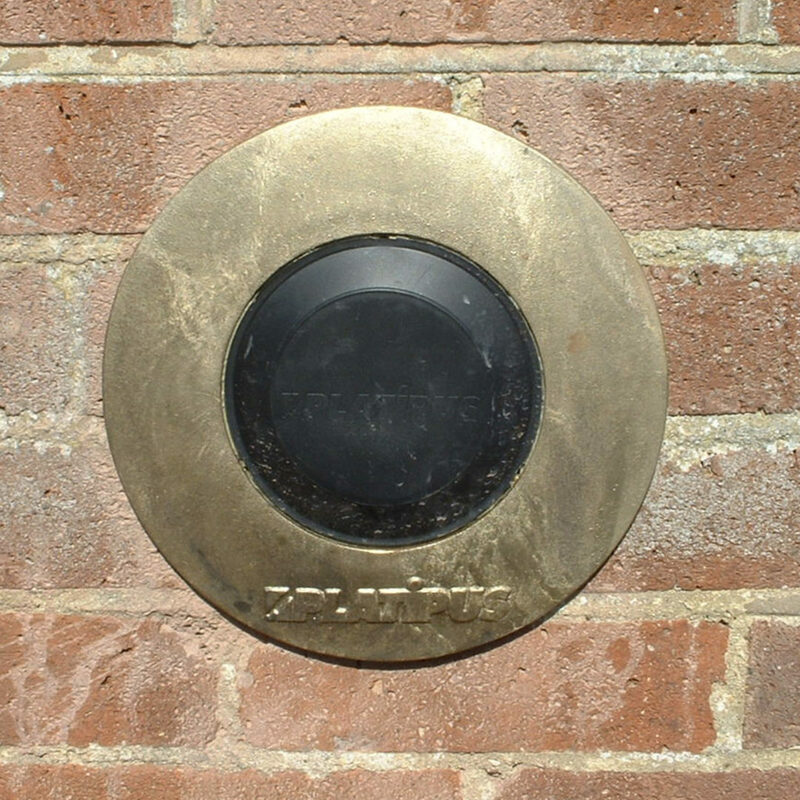 If the finished appearance is of aesthetic importance we offer a near flush fitting load plate that accepts a recessed wedge grip and cap or an inverted pattress plate which includes a hemispherical washer to allow the angle of anchor installation to vary between 0°-30°. Over the last 30 years, we have developed a large choice of top fittings. If you have a specific requirement that is not covered by our standard range, we can supply a custom solution. 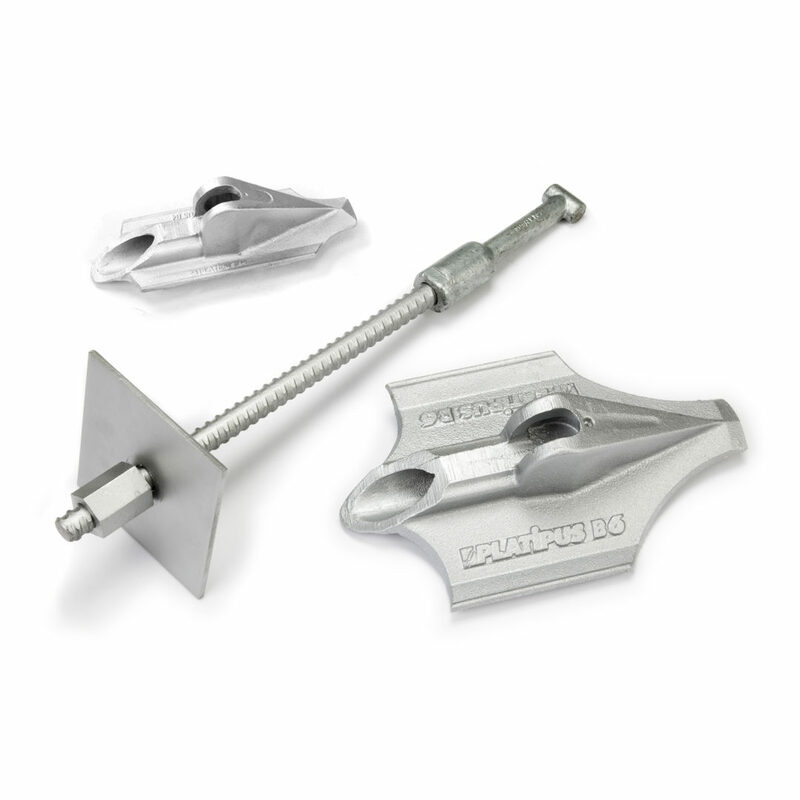 We can also provide a variety of soft and hard eye terminations to secure guyed structures and scaffolding. Some applications, such as historical structures, require all evidence of anchoring to be concealed. 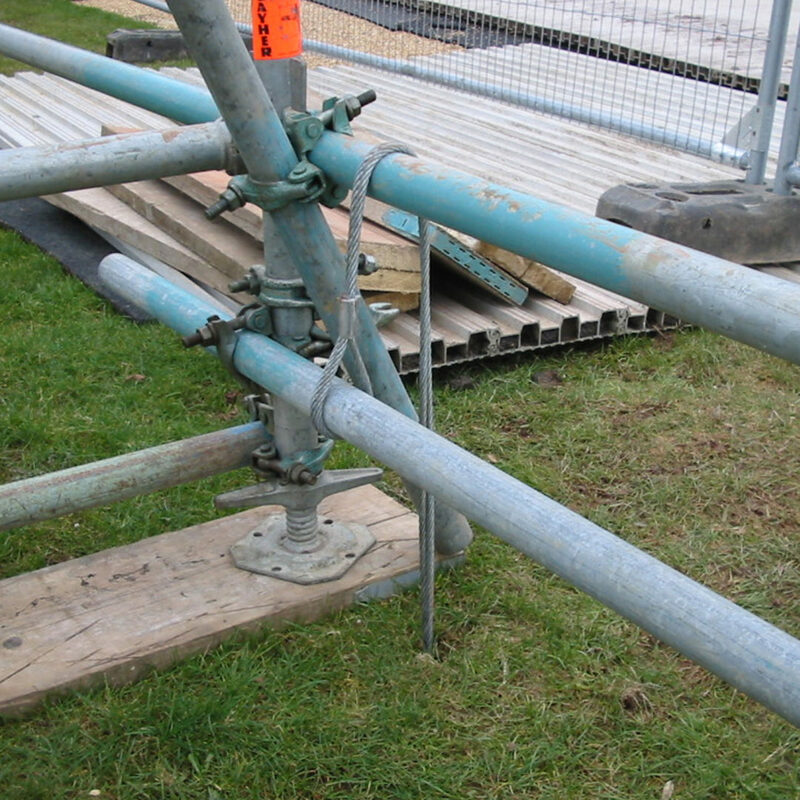 This can be achieved by recessing the anchor system top fittings within the structure. 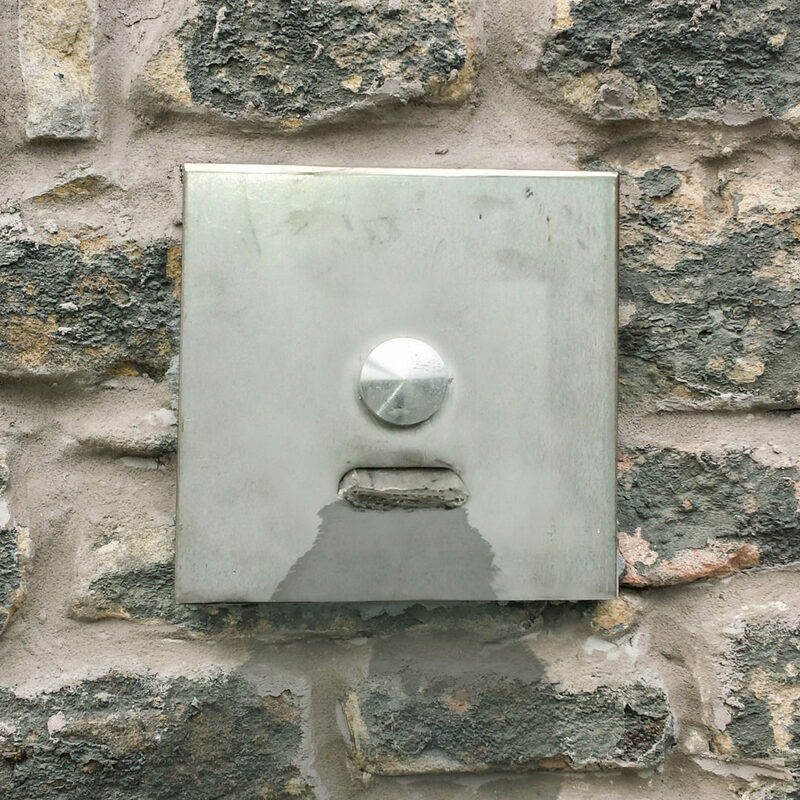 Once complete the facing brick or stonework can be replaced to provide an invisible repair. 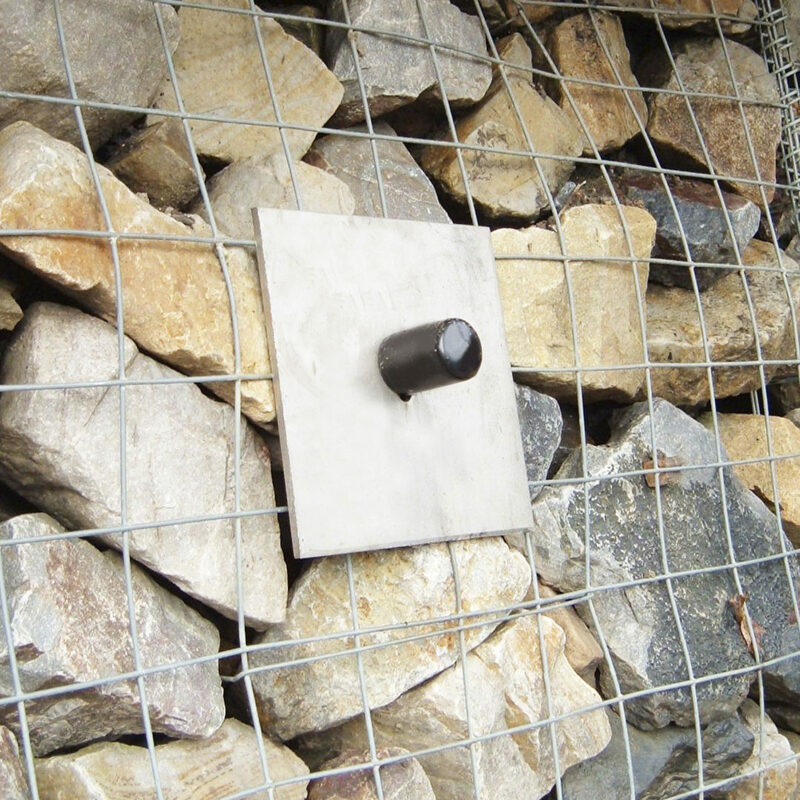 The Platipus PDEA® System can also be used in conjunction with other structural reinforcement products, such as Helifix, to provide an extremely effective solution on masonry walls with limited structural integrity.